Calling All Coxswains: At SRA we are always looking for enthusiastic and leadership-driven athletes to be coxswains. No experience necessary! Contact the head coach for details and incentives about coxing. ​Year round training program built around preparation for the most important regattas. Focused on the water workouts built around technical improvements, conditioning, racing skills, and selection of the fastest lineups. A great training location as the only team on Lake Sammamish. A variety of criteria are used to make boat selections based on boat moving ability including erg tests, coach observations, and most importantly seat racing results. Experienced coaching staff. Head coach Tom Woodman is in his 11th year coaching the 5am Masters Team and knows what it takes to compete at the highest level. Teamwork. We are a team that strives to work together year round toward our common goals. We do not throw together individuals from outside the team for one or two races a year. We train for extended periods of time in the boats that race in the top level regattas. Keep it fun. We include a variety of training over the course of the year and try to incorporate your interests. 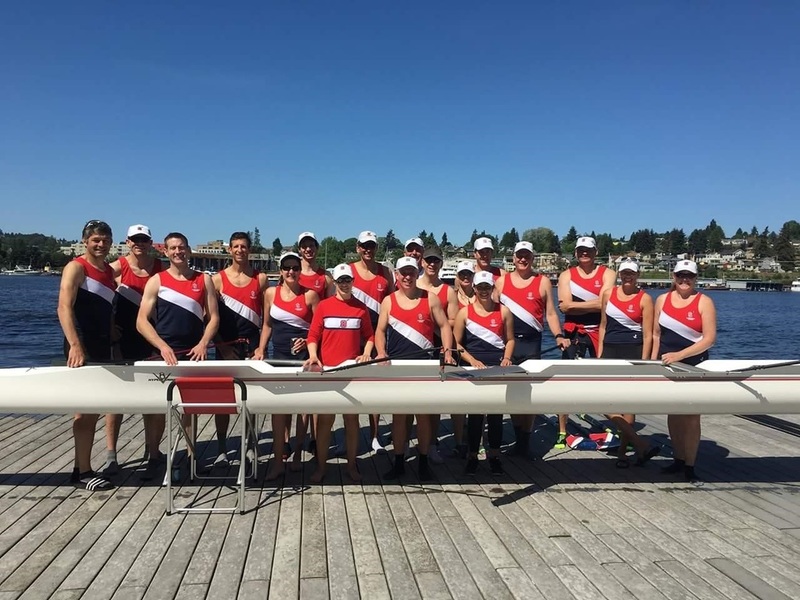 For example, last spring a few people did primarily sculling in small boats while other did sweep in preparation for Northwest Masters Regionals. "Race Day Friday" is also a regular event that the team enjoys. ​​Head of the Charles 2018: 2nd place medal W4+ 50+, 5th place medal M8 50+, 7th M4+ 40+, 9th M4+50+, 11th W8 50+ (SRA composite boat). USRA Masters Nationals 2018 (Part of SRA Club’s effort): Winner of Club Points Trophy. San Diego Crew Classic: 2018 1st in Men’s C 8 (4th year in a row), 3rd MClub8. Opening Day 2018: 1st M40+8 (10th win in a row for SRA 5am team at Opening Day). Head of The Charles 2017: Gold M40+ 4+and Men’s Grand Master 4+. Course Records in both. Regionals 2017: 15 gold medals, 5 Silver medals, 1 bronze.